Choosing the right contractor for your home remodeling project will help you to avoid costly disasters and problems. Remodeling differs from new home building in that the contractor must work around existing structure to achieve your goals. Experience with a wide range of building styles, quality and materials, as well as long-term relationships with trusted experts, gives the professional contractor the edge over the casual builder, new home builders, and inexperienced companies. 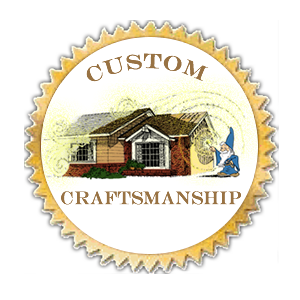 DeLapp Builders specializes in Affordable, Quality, Custom Kitchens and Home Remodeling. Not only do we provide exceptional one-on-one attention by the people who will be performing the work, but our vast experience with the many types of homes in the Riverside County area guarantees your satisfaction with every aspect of the project. The home remodeling contractor will meet with you to discuss your goals, and prepare a bid for the project. When dealing with a chain, or large company, your sales rep will not be completing the project, so your bid request will go through several phases before completion. By comparison, Corbin DeLapp will meet with you to review your project, present and explain your bid, and be involved in every aspect of your project. 1. Is the company using a license number in their advertising? Make sure you only get bids from licensed contractors, and that the name the representative shows you is the same name that is on the license. Do they have a pocket license? It’s surprising how many people don’t have licenses or are using someone else’s license. If they don’t have a license you have little or no recourse when things go wrong. Be sure to check out their license status on the state contractors website.